It’s time for a city trip to Hamburg! I just found a great deal to the stunning city for you on Secret Escapes. 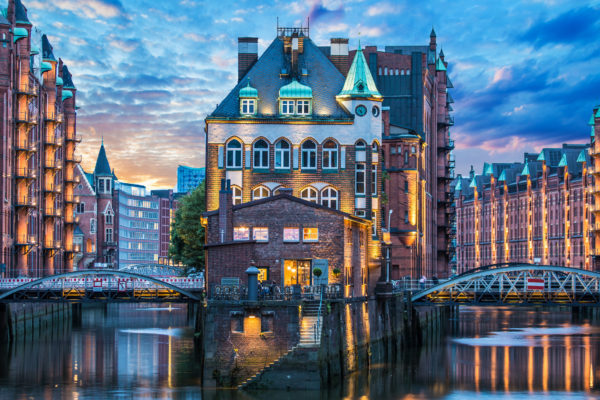 You’ll be staying 2 days at great 4* Ruby Lotti Hamburg from just 295 kr. Your 4* hotel is located near the Binnenalster, directly in the middle of the city. From there you can reach all highlights of the city in less then 15 minutes. The public transport will help you with it. On Booking.com your hotel has received great reviews and has been awarded with an 8.2 out of 10 total rating from 487 different reviews. There are several dates available from February – June 2018! 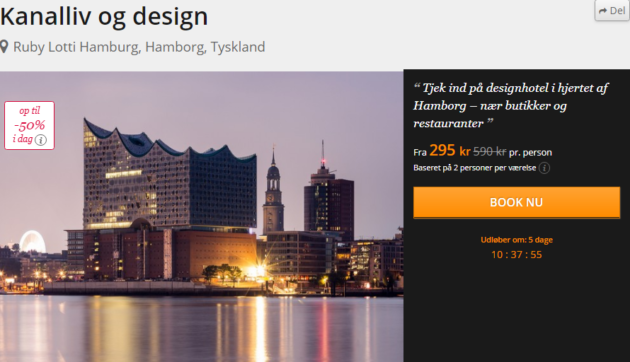 If you are looking for a cheap flight to Hamburg you can check the offers on Skyscanner.